When we got married, you said ‘I do’ Why can’t you give me the same answer when I ask you ‘Do you forgive me?’ I am really very sorry darling. It’s been 12 hours and 43 minutes since you last sent me a text message. I can’t stand it any longer. I apologize for what I’ve done. I’m so sorry my darling. Please forgive me. There are no limits to my remorse and guilt, you have no idea how badly I’ll wilt. I acted in a state of unawareness, please forgive me, my princess. My queen, I want to say I feel a lot of pain for what happened, you know I love you, I have shown you many times and I do not want to lose you for a mistake. Our love is so beautiful that it does not deserve to have such a tragic ending. Please my life, forgive me and not condemn me to be an unhappy person for the rest of my life. An old proverb says that ‘To err is human, to forgive divine’. Why don’t you be the divine and beautiful goddess that you are… and forgive a mere mortal like me? I confess and I admit that I was WRONG… baby please forgive me because I know that our love is RIGHT. The best wife in the world, doesn’t deserve this at all. I’m sorry that in your eyes, I couldn’t stand tall. Do you know why your husband wants to give you a really long apologeeeeeeeeeeeeeeee? That is because he is really sorrieeeeeeeeeeeeeee. Many tears dropped from your eyes because of the way I hurt you. Today I promise that I will convert every fallen tear of yours into a precious pearl. I’m sorry. 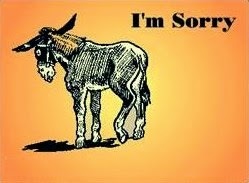 I am not saying sorry to you because it is the most convenient thing to do. I am saying sorry because I am drowning in the regret of my actions towards you. I love you. The most profound apologies are never heard by the ears, they’re felt through the heart. So put your hand on my heart and just feel it weeping out in regret – I’m sorry. I confess that what I said what a lie, but that doesn’t make me a liar. Just because we’re going through a rough patch, doesn’t mean our love will expire. I’m going to bare open my heart to you in the coming days, so you can see how regret is breaking me from inside in every possible way. Sorry. Big or small, lies are lies. I’m ashamed, that I made you cry. In regret, I’m miserably drowning. For your forgiveness, I’m desperately waiting. My heart is trapped in regret and it needs your forgiveness to set it free. I love you. My constant nagging might seem annoying, but in no way does it mean that I’m dominating. I want nothing but the best for you, I wouldn’t do anything to make you feel blue. Sorry. I never meant to insult you, I never meant to hurt you. I never meant to put you through pain, and I promise to never do this again. I am sorry, please forgive me. My decision to ask you to marry me was based on many of the lovely qualities you have, and forgiveness was the most important one of them. So please prove my decision right and forgive me. I am sorry. I have always chosen everything in my life very carefully, but I faltered when I called you names. I promise that from now on, I will choose my words carefully too. I’m sorry. The word SORRY is OVERUSED by Me and UNDERUSED by You. How about we both call it even and move on? I love you. Haven’t you heard that people fight and quarrel only with those who they love the most? The fact that I have fought and quarreled with you means only one thing – that I love you a lot. Sorry. 2. Duur om de lening terug te betalen. 3. uw e-mail en locatie. en u wordt gecontacteerd door het leningkantoor. We geven persoonlijke leningen uit met een bereik van $ 1000 tot $ 500000, terwijl zakelijke leningen worden uitgekeerd van $ 10.000 tot $ 50000000 en deze lening wordt aan individuen uitgegeven van 1 tot 20 jaar. I'm so happy sharing this testimonies today, because i did not believe my husband will come back to me when he left me for over 3 years, because of another woman, for over 3 years, my life has been filled with pains,sorrow and heart breaks, one day my friend told me she saw the news of a great powerful voodoo priest, called Dr. Ojo, that he can help me bring my husband back to me. I laughed and said i'm not interested, because i did not believe it, my friend advice me to try it, and i consulted the great powerful voodoo priest, and to my greatest surprise after three days my husband called me for the very first time after 3 years, that he is missing me and that he is so sorry for everything he made me went through.I'm so happy now, because my husband his back to me.Thanks to priest Ojo. Anyone who might need the help of this great priest you can contact him with this email address:ojolawole1@yahoo.com, and i'm aware he can cure HIV VIRUS, Infertility and all kinds of diseases. I have being hearing about this blank ATM card for a while and i never really paid any interest to it because of my doubts. Until one day i discovered a hacking guy called Engineer Marten, he is really good at what he is doing. Back to the point, I inquired about The Blank ATM Card. If it works or even Exist. They told me Yes and that it's a card programmed for random money withdraws without being noticed and can also be used for free online purchases of any kind. This was shocking and i still had my doubts. Then i gave it a try and asked for the card and agreed to their terms and conditions. Hoping and praying it was not fake. One week later i received my card and tried with the closest ATM machine close to me, It worked like magic. I was able to withdraw up to $6000. This was unbelievable and the happiest day of my life with my girlfriend Laurel. So far i have being able to withdraw up to $78000 without any stress of being caught. I don't know why i am posting this here, i just felt this might help those of us in need of financial stability. blank ATM has really change my life. If you want to contact them, Here is the email address (adrainmarten101@gmail.com).he can help you as well,but please you have to tell engineer marten that Kevin Benjamin refer you.thanks.